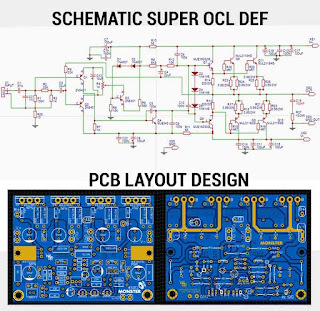 Super OCL power amplifier with double emitter follower on final transistor it can deliver power output more stability, and this version I have added capacitor decoupling on the final transistor. 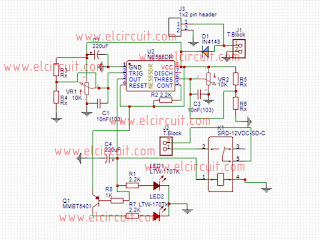 This amplifier is a wide power supply range minimum power supply voltage 25VDC to 90VDC symmetrical power supply, and minimum current 5Ampere. 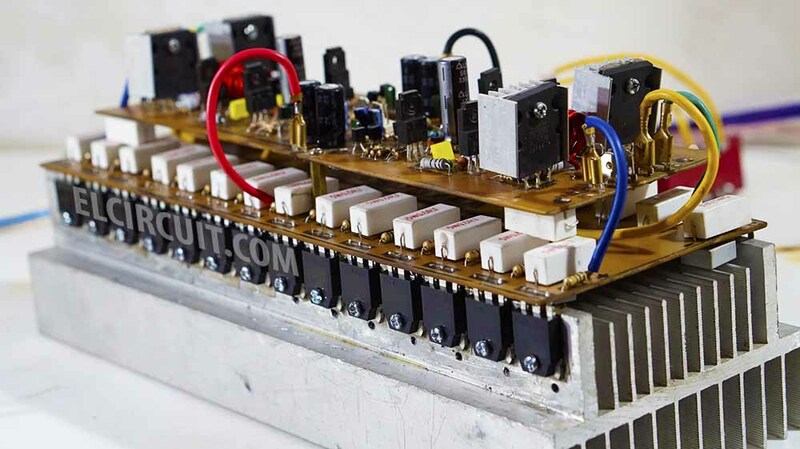 Output maximum of this amp up to 500W. 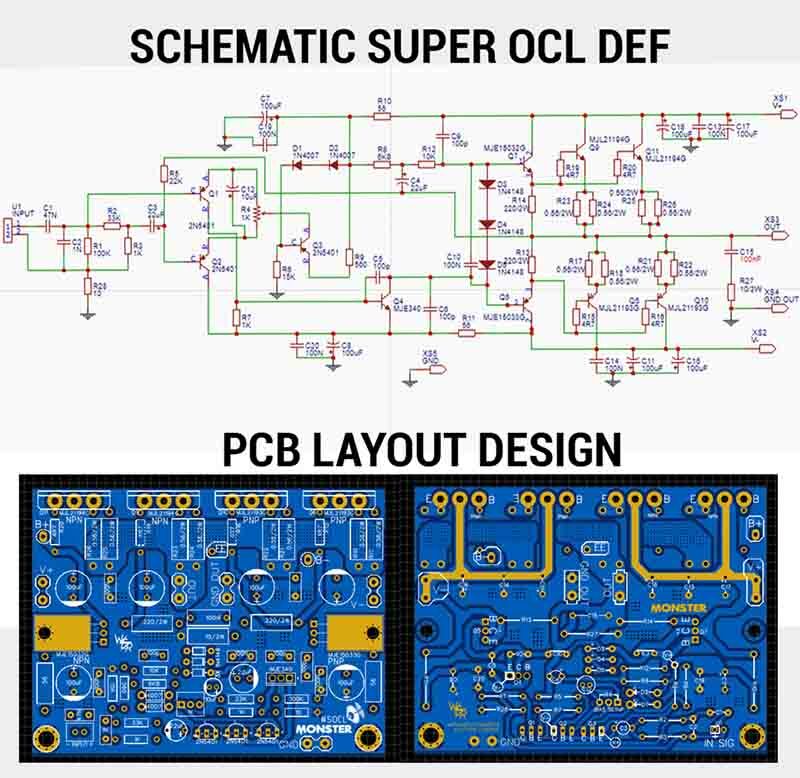 Below the schematic and PCB Layout design, you can download this project and PCB Gerber file at the end of the post. 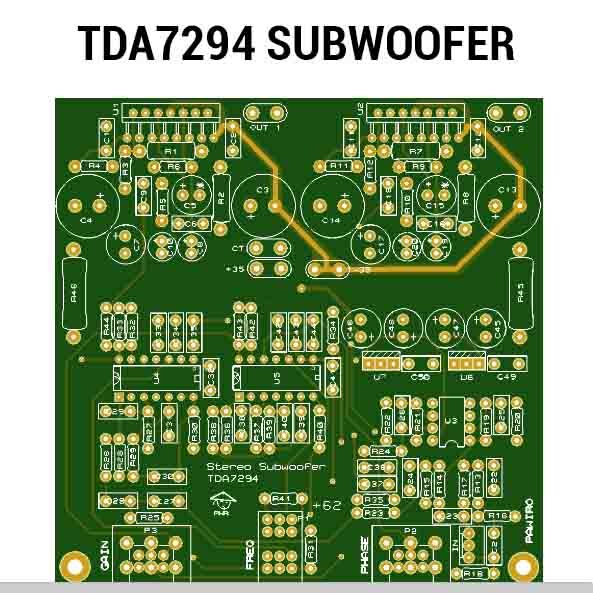 The TDA7294 power amplifier is intended for the use of subwoofer speakers because the amplifier with the TDA7294 chip is equipped with a subwoofer preamp, there are also frequency and phase settings so we can add or reduce the output frequency as we wish, and for the phase, we can set from 0-180 level. 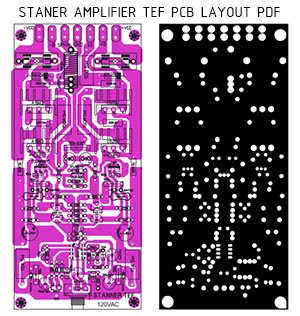 This subwoofer power amplifier can you download the Gerber file, with a double layer 10x10cm PCB size, the file is at the end of the post. 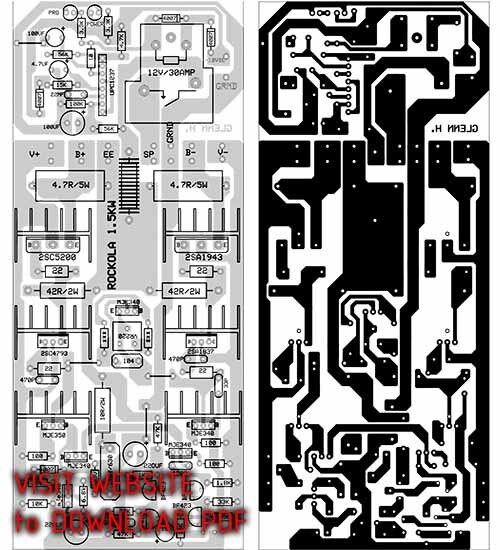 and for the next, you can order on the site of the PCB manufacturer provider like JLCPCB. 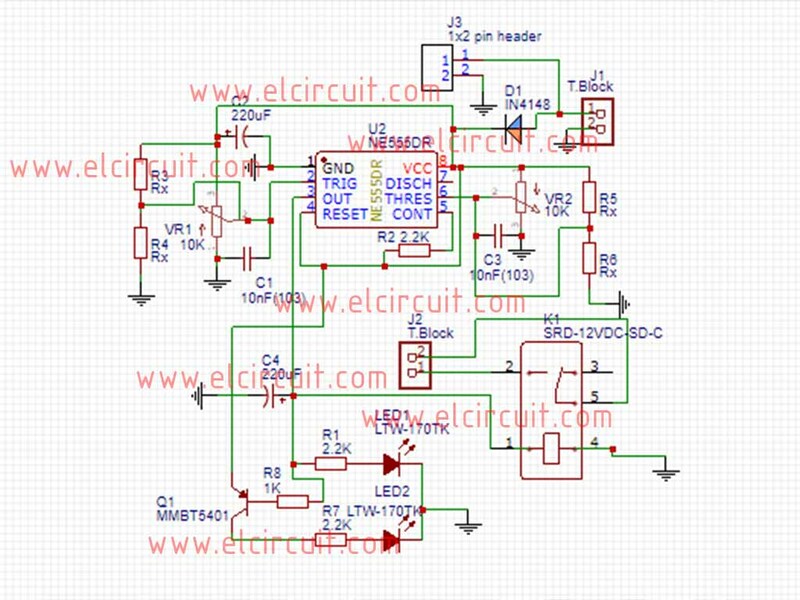 For the power supply, you can use from 12V to 40V symmetrical DC with a current of at least 5A, to get maximum results. 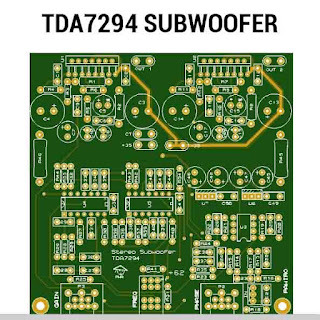 This subwoofer amplifier TDA7294 has two outputs so the total power output can be 60W RMS. 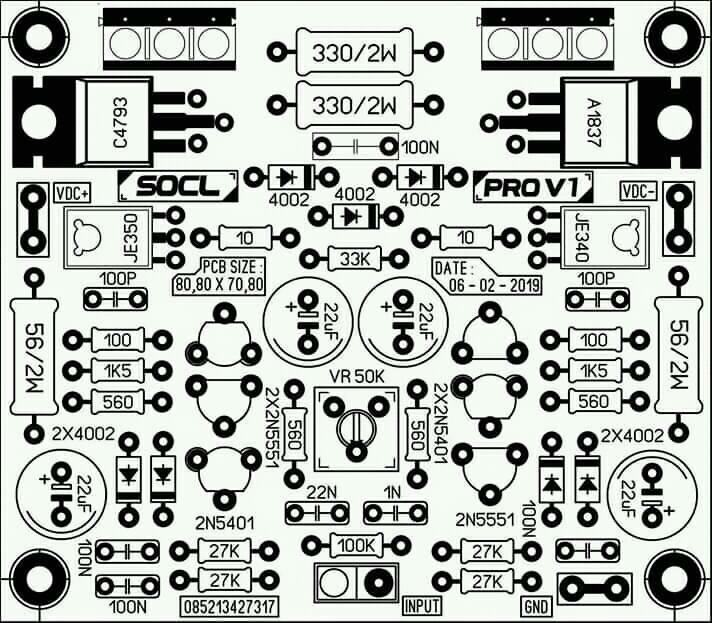 This PCB Layout for power amplifier Rockola Exp with Speaker Protector, you can download PCB Layout as PDF format file, at the end of this post. 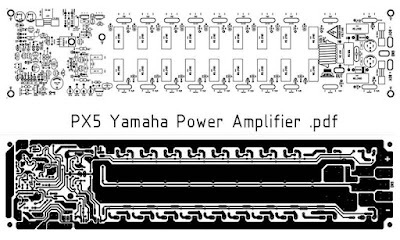 The power amplifier Rockola is very familiar also for PA (Public Adress) audio system. 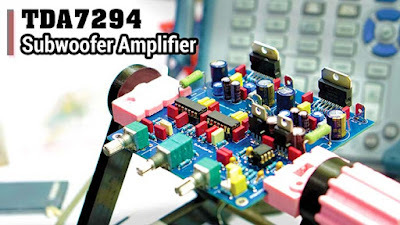 This amplifier can deliver high power output up to 2kW, but, it must use an extra Final Transistor's, you can using transistor 2SC5200/ 2SA1943 as a final transistor as much 10 pair transistor. Power supply recommended 65VAC symmetrical power supply with current up to 20A. Hello friends, in this post I will share a power amplifier circuit with the output power of up to 800 Watt using the final N-Channel and P-Channel MOSFET transistors. 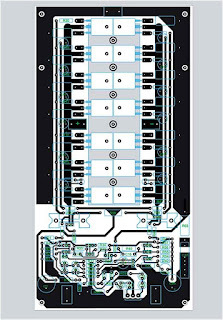 Final Mosfet Transistor uses the IRFP240 series for N-Channel and IRFP924 for P-Channel. 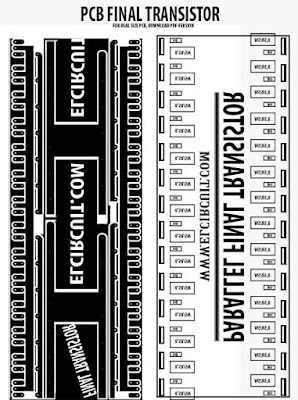 This power amplifier is very suitable for the Public Address audio system. 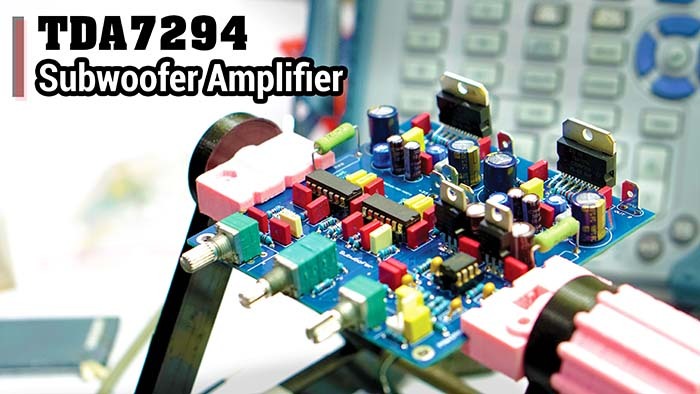 With a fairly large power up to 800W, this power amplifier is also suitable for the use of model speakers or woofers even suitable for subwoofer speakers. 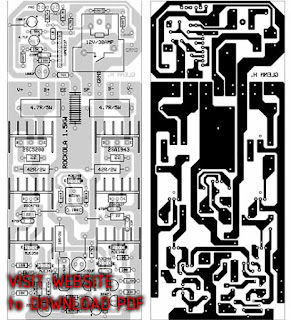 And for the 800W power amplifier circuit you can see below with the PCB layout, and for clearer images, you can download the format. 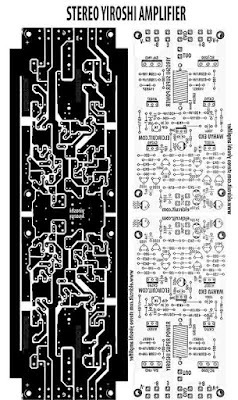 PDF at the end of the post. 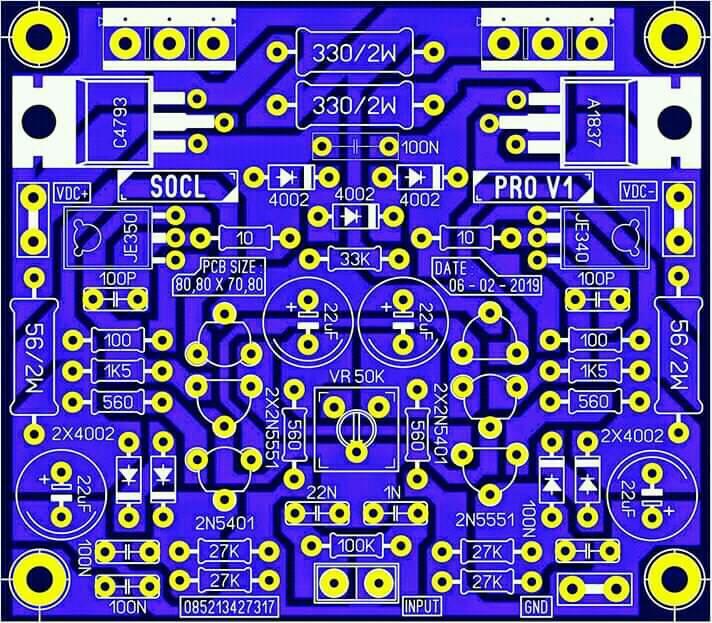 In this post, I will share a PCB layout for the APEX BX-20 amplifier with a Class AB system that is very suitable for various sound system needs, because the sound produced is so clear. 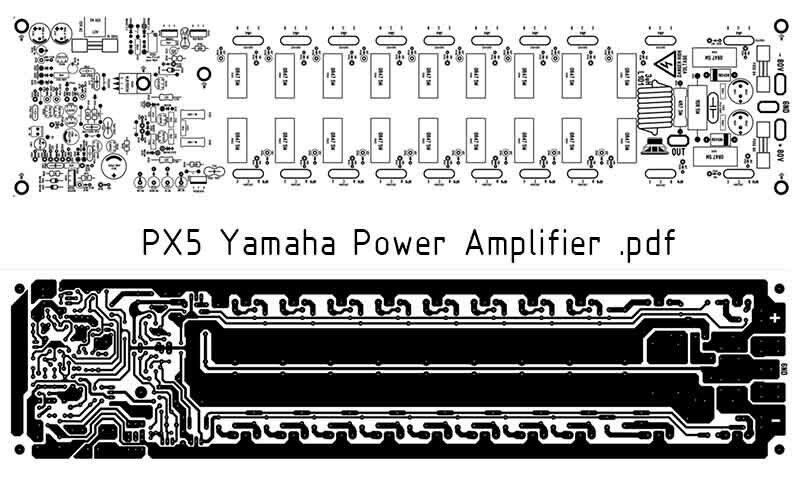 In addition, the APEX BX-20 power amplifier also has considerable power, can be used outdoors or indoors. 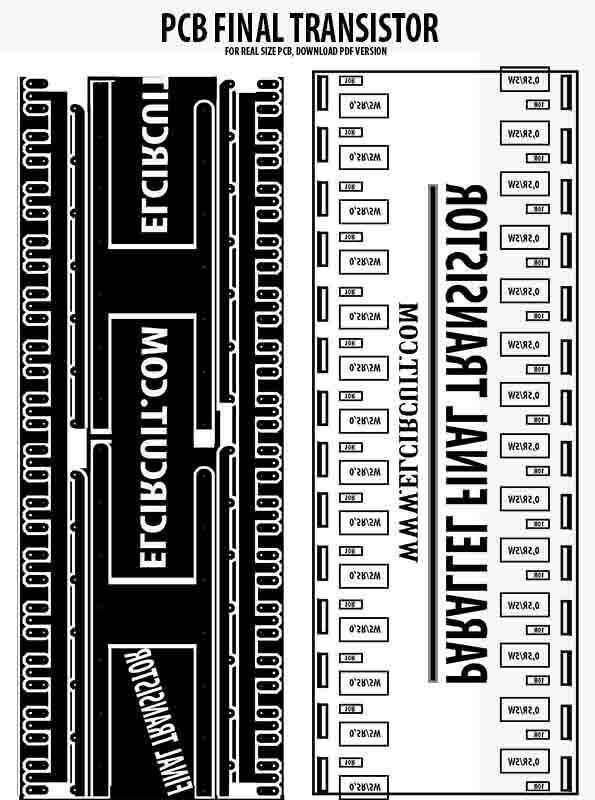 Can be used for mid speakers, high or low, subwoofer. 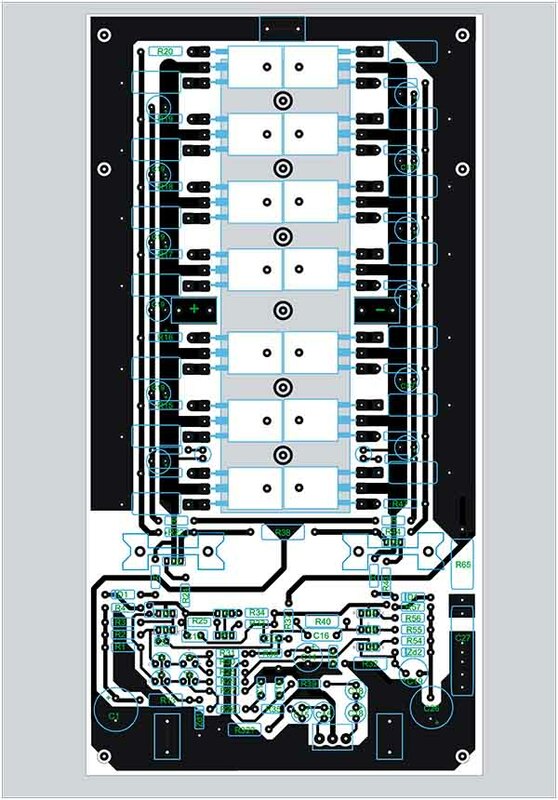 The following power amplifier PCB Layout APEX BX-20, please download the PDF format at the end of the post. If there is something to ask, please enter a comment in the comments column. This my second project for Yiroshi Power Amplifier Circuit, the power amplifier circuit is indeed very super quality, many have tested the strength of this Yiroshi power amplifier. 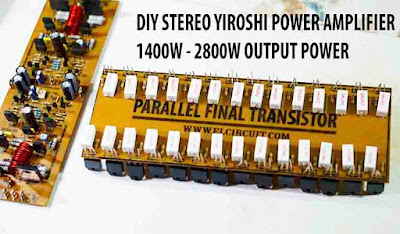 Power amplifier yiroshi is suitable for outdoor or indoor. 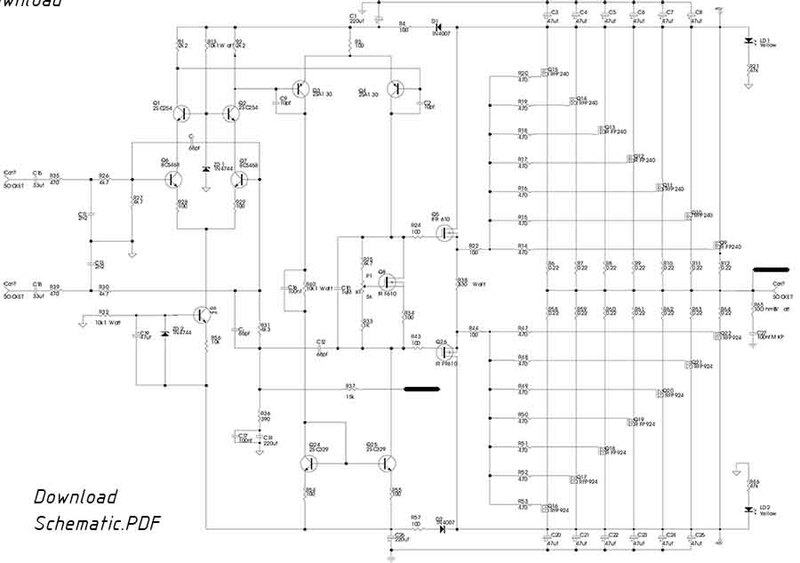 Previously I have made this yiroshi amp circuit in the mono version. 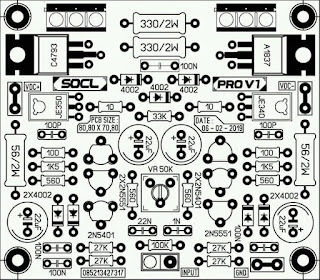 I have also tested it in the unboxed state of the box, using only 2SC2922 and 2SA1943 final transistors, this amplifier is capable of high enough power until my speakers are damaged and also my smps is damaged This power amplifier is tough enough, none of my final transistors parallels broken. 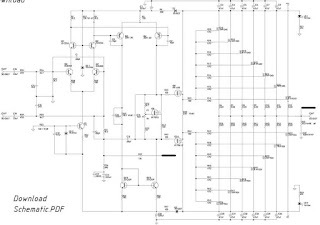 here is the circuit scheme of the stereo power amplifier yiroshi, the scheme below is still the same with the yiroshi circuit that superpower driver before, only later will replace the transistor previously used TIP3055 and TIP2955 I replace it with transistor 2SC5200 and 2SA1943. 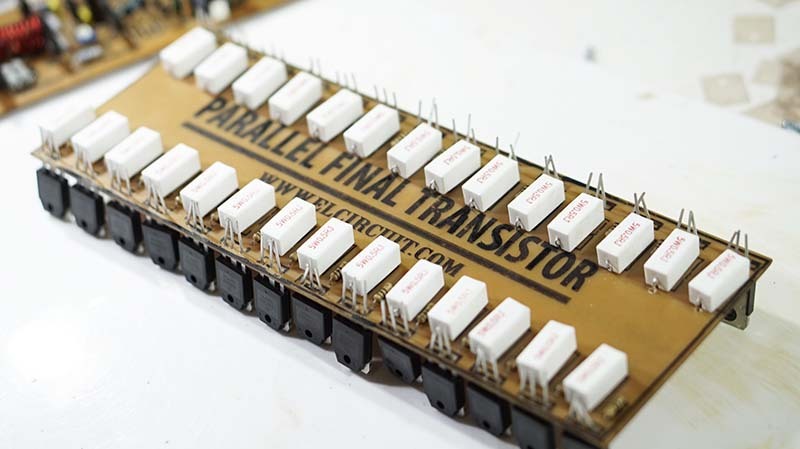 Because the previous transistor has only a maximum voltage of 60Volt with a maximum current of 15Ampere, so it is advisable to use a larger transistor maximum voltage and current. 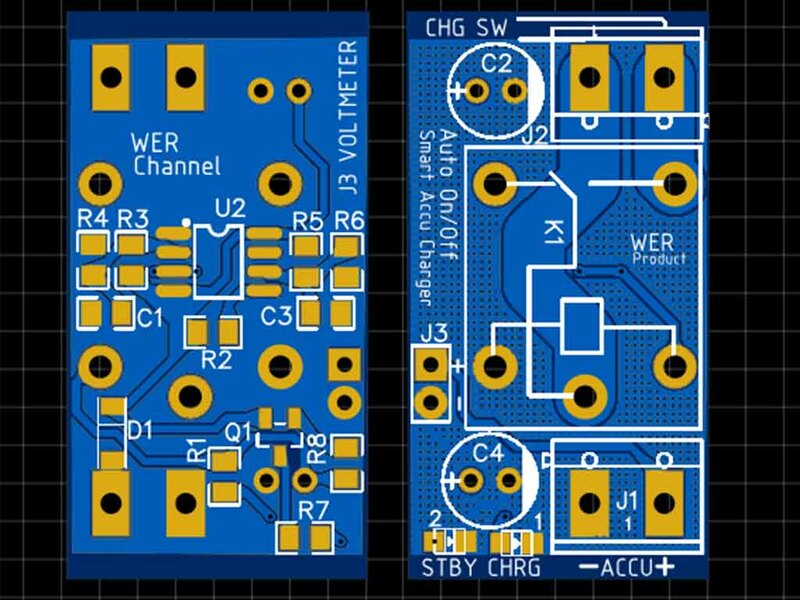 If for 2SC5200 and 2SA1943 transistors this is enough for me, maximum CE CE voltage up to 230V and maximum current up to 15 Ampere. 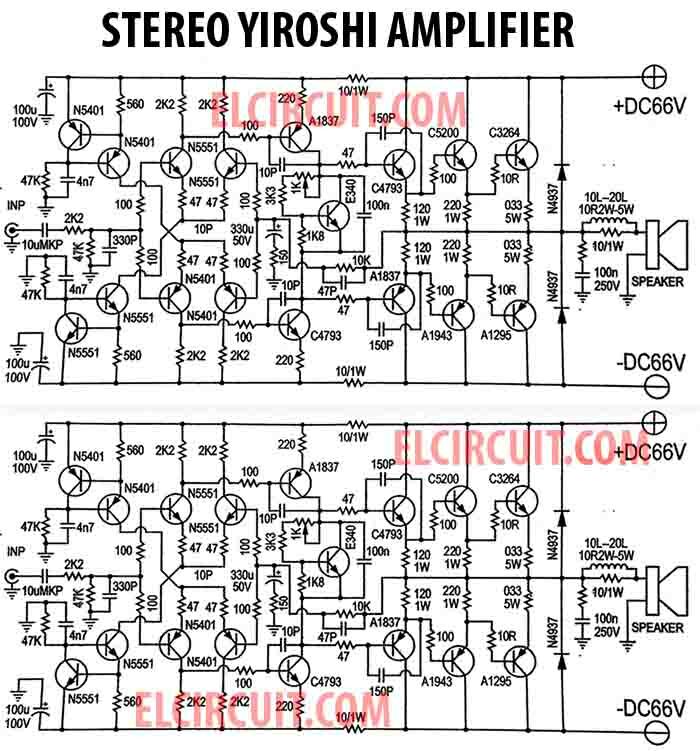 In the above circuit scheme is a combined stereo of two series of yiroshi power amplifiers, so to list the components to make it easier for you to buy, please just look at the previous post here Yiroshi Power Amplifier Circuit. 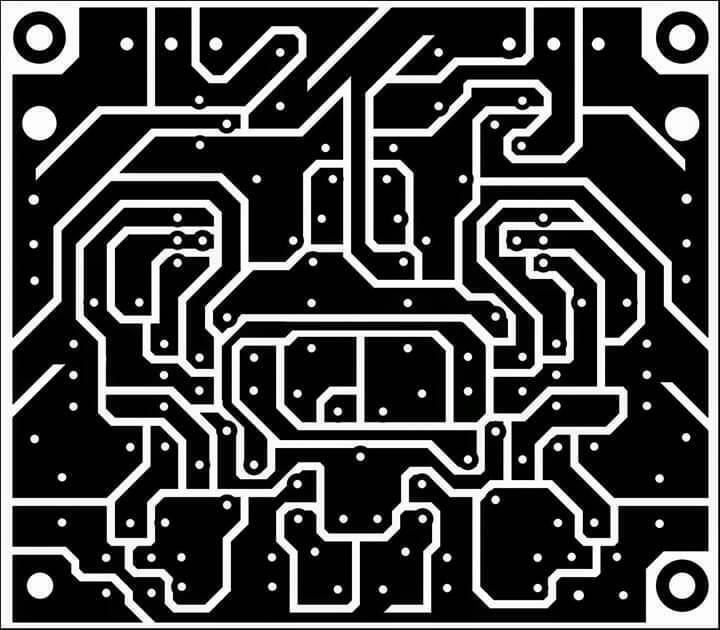 PCB Final Transistor Parallel for stereo amplifier yiroshi driver. 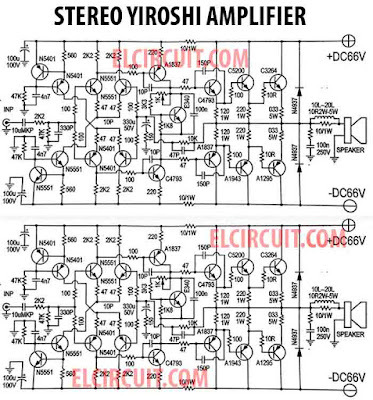 I have made this stereo yiroshi power amplifier circuit, but this is still in the test process stage. 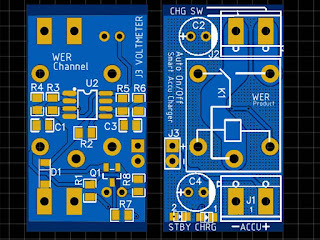 and it turns out for PCB Layout for the driver you have to reverse the position of all transistors, so the same face with the top component layout. 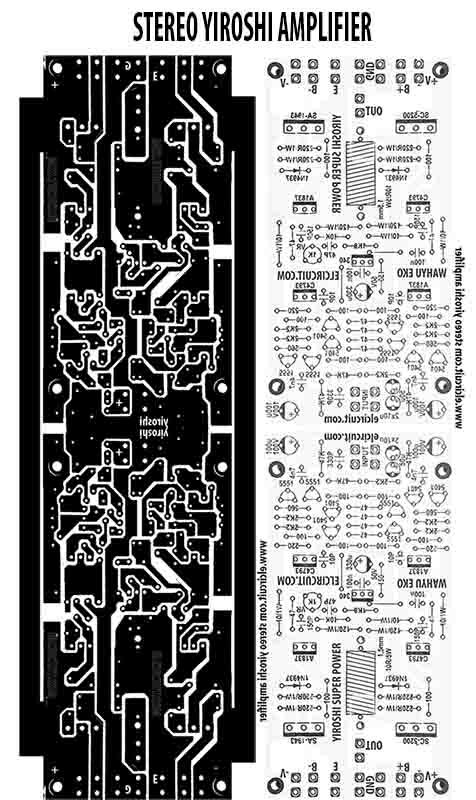 Later you will be able to see the location and position of the transistor, after the power amplifier is finished and ready to be produced. 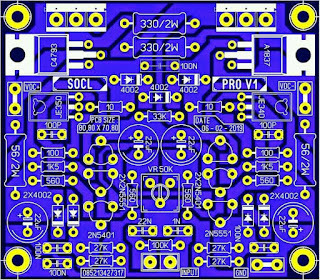 For the final transistor, on this yiroshi stereo amplifier project, I do not use transistor Toshiba 2sc5200 and 2sa1943 as well as sanken transistor 2sc2922 and 2sa1216. 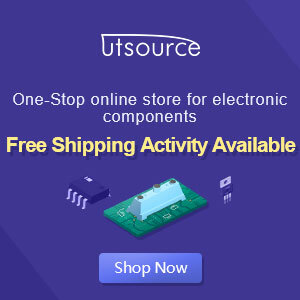 I am using transistor NJW0302 and NJW0281, the transistor price of NJW0302 and NJW0281 is almost the same as Toshiba transistor 2sc5200 and 2sa1943. 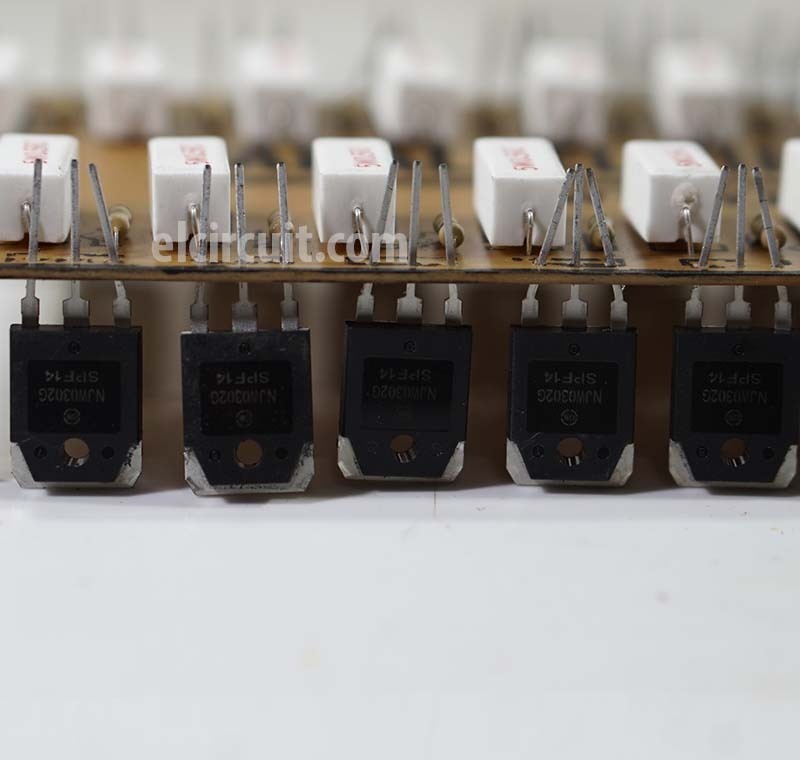 Both transistors both have 150Watt power output, and IC 15Ampere but for VCEO and VCBO are different, a 20Volt difference is higher transistor NJW0302 and NJW0281, where the maximum voltage is 250Volt. 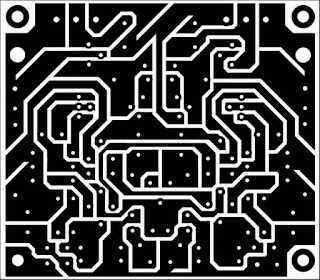 And this is the final transistor image I've paralleled using the PCB Design layout above.I am using 14 pairs of NJW0302 and NJW0281 transistors and for per channel yiroshi driver I use 7 pairs of transistors. 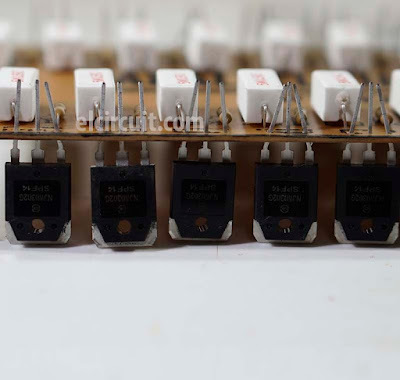 ASSEMBLING FINAL TRANSISTOR AND TEST POWER AMPLIFIER YIROSHI STEREO OUTPUT USING 14SET NJW0302 NJW2801.